Keepin’ it Cool With the August Updates! We don’t have a designated speaker for this month, but it’s not for lack of things to talk about. We’ll be recapping the major events and announcements of the summer so far, including the standings and presentations up on the big screen from the UAT Game Jam last week! We had a lot of highly competitive and fun entries, so I hope you’ll come by and check them out! See our Facebook event for some more details! 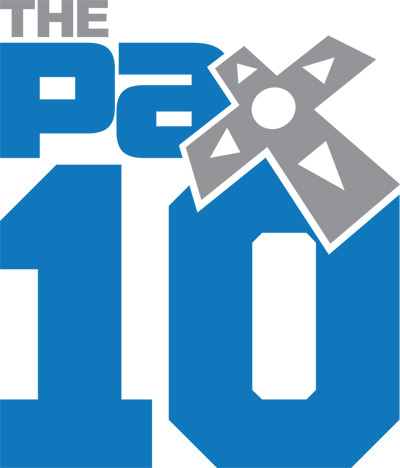 This year, TWO different games from different local developers been selected for display at the PAX10! In other words, they will be a part of the Penny Arcade Expo held in Seattle at the end of this month. First, a big congrats to Mario Castañeda, whose beautiful black-and-white puzzle game, The Bridge, will be making an appearance. Kpulv’s Offspring Fling, the charming little puzzle platformer for PC/Mac (and more recently, a highly-acclaimed hit on the Steam store), will also be on the expo floor. Congratulations, Kyle and Mario! The ever-popular Mr. Ara Shirinian has another nugget of game design wisdom to share with you all- this time, it’s on Gamasutra! In The Value of Repetition, Ara hops onto the flip side of the coin to talk about proper use of non-grindy, valuable repetition in video games. Check it out, read the interesting discussions at the bottom, post it up to your social network of choice if you’re so inclined! And with that, just another reminder that you can find us on Twitter and/or Facebook anytime!